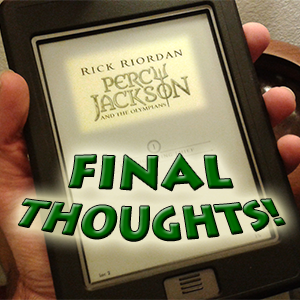 When I began this blog series, I wasn’t too sure what to expect from The Lightning Thief. Would Riordan’s take on Greek mythology click just right and thrill me to find a kindred author with a taste for gods and monsters, or would I be disappointed in how he handled it? Or, perhaps worst of all, might it turn out that my impression that the Percy Jackson series and Zeus Is Dead are completely different sorts of books (again, drawn from a glance Wikipedia way back in 2009 when I was 25% of the way through writing ZID and first became aware of this series) turn out to be false? I needn’t have worried. On the whole, I really enjoyed Riordan’s take on things. There were plenty of traditional mythological themes (prophecy, heroes being clever, rivalries of the gods), and he did a good job adapting things to a modern setting. I could tell that Riordan put thought into his world. I was also pleased to see that he let the gods retain their political squabbling, which I’ve always thought lent a nice nuance to the original tales that is too often missing from modern (granted, mostly theatrical) adaptations. Yes, there were some things I’d have done differently. I still like my version of Dionysus better—he’s still a jerk, but at least he’s usually cheerful about it—and we have different takes on what it means to be a direct offspring of the gods. Even so, I wasn’t ever actively disappointed. Some things I didn’t get enough of, but there are more books in this series, so there’s still a chance for me to get more. For the record, I liked it up until the last 2 minutes. I’m still not sure how I feel about the concept of the mist, though. I tend to like stories where the world has to deal with things like this breaking into their otherwise mundane reality. I want to know more about how the mist works. (But no spoilers!) 🙂 Perhaps I’ll get it in later books? The characters all had flaws. Sure, some of those flaws made me want to whap said characters over the head at times, but characters who never make mistakes risk being dull. Also, the story contained enough mystery that I was able to correctly figure out (makes me feel smrt) and enough that kept me guessing, which was more or less done without plot holes. The pact between the big three was a very nice touch. Again, I like Olympian politics, and the idea that their children can have a dangerous effect on the world was a great way to connect mythology with the knowledge of real history that a reader brings with them to the book. Hmm. There’s not really much to put here that I didn’t already mention in the individual chapter posts, so I think I’ll leave it at that. It’s hard for me to choose between Grover or Annabeth here. I like Annabeth. She’s smart, strong, ambitious, and generally capable. Yet Grover wins by a hoof with his loyalty, vulnerability, and will to chase his own dreams. He’s kind of the Ron Weasley in the story, though in Grover’s case it’s a bit like Ron & Harry Potter squooshed together. I suppose I could make a case for Annabeth being Hermione and Harry squooshed together. Though don’t misinterpret that as my accusing Riordan of ripping off the characters. A razorwing: Feral, poisonous, and deadly-cute. It’s hard to pick a favorite here, mostly because I wasn’t too blown away with those I saw. (Maybe I’m just being subconsciously competitive and thinking too fondly of the “testudo-frog” or the swarms of razorwings from Zeus Is Dead.) 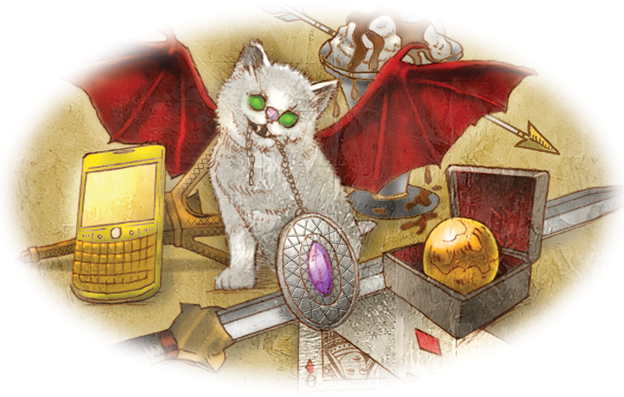 I’m going to go with the chimera, however, since Percy didn’t manage to defeat it. Can’t win ’em all, Percy. 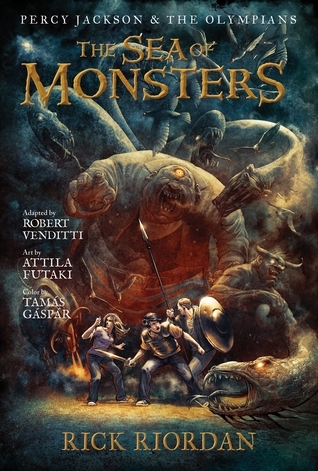 Of the gods who make an appearance in this book, I think I liked Poseidon the most. Liking Poseidon is a little odd for me, because I’ve always viewed him as being—generally—a stern, moody jerk. But he impressed me in his scene, so what the heck, he can take the title for this one. It’s time to take a tip from Mister Paul Anka! So those are my final impressions of The Lightning Thief! I’ll be continuing on to blog my experience reading—again, for the first time—The Sea of Monsters. I’ll have my pre-reading predictions for what might happen in that book soon (though I don’t have many), and then—perhaps after a brief break to do some other blog entries and focus a little on writing A Dragon at the Gate—I’ll plunge into that one. Your entire thing here was amazing, and even pointed out a few things that I didn’t notice on even my second, third, or even fourth read through of the book. The Mist, by the way, does get explained a bit better later on. Finally, have fun reading The Sea of Monsters. It is, at least in my opinion, far better than The Lightning Thief. Thanks, Andrew! (I confess I wondered if I might offend some fans with my occasional nitpicking. I really did enjoy the book!) I’m curious: What things did I point out that you didn’t notice? Mostly small things, but I will confess, on my first read through, I thought nothing of the mortals noticing nothing and of this mysterious Myst until Percy fought Ares and their swords looked like guns to the mortals. Other than that, and a few small things here and there, I did have some of the same reactions to some of the events that happened, but wasn’t quite as frustrated with Percy as you were. So glad, you’re going to read book 2. I’ve liked these blogs and look forward to more in the future. Also, I think you’ll really enjoy… right, no spoilers!